Our current electoral system in Western Australia presents voters with an all or nothing choice: a voter can either select a single box above the line thereby handing control of the flow of their preferences to that party or candidate, or, they must undertake the onerous task of sequentially numbering their own preferences for every candidate below the line. Previous outcomes of both state and federal elections have clearly demonstrated that above the line ticket voting has resulted in unintended consequences. There have been instances when candidates have been elected after receiving less than 1% of the primary vote. In Western Australia more than 95% of people choose to vote above the line which has provided a strong incentive for parties to engage in backroom preference deals. Indeed, the 2017 WA state election saw 5 micro parties employ the services of a so called “preference whisperer” to maximise their chances of being elected irrespective of whether or not these parties were philosophically aligned. This is clearly not democratic. 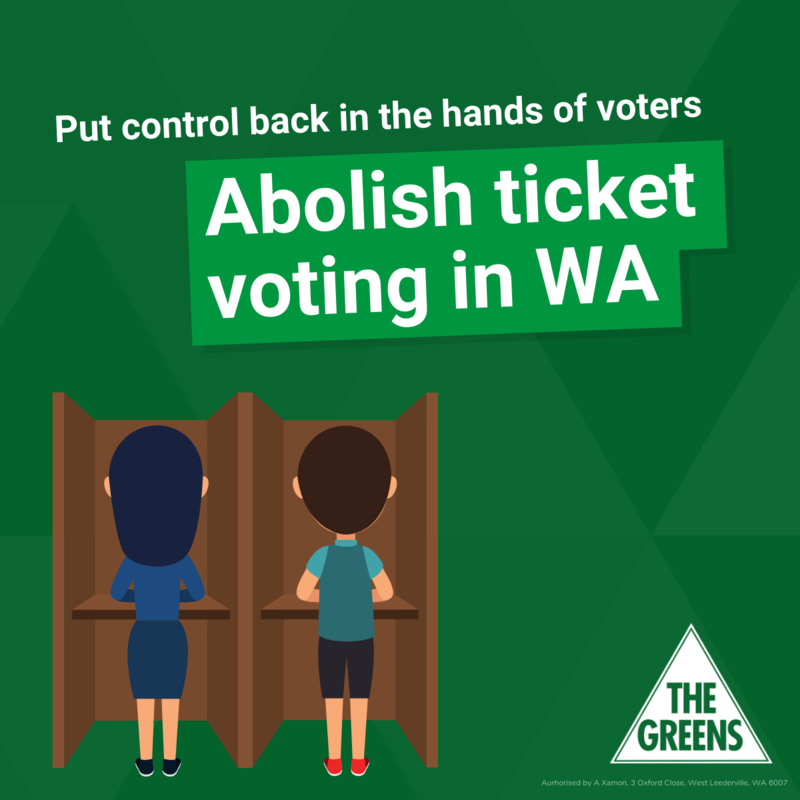 As your Greens spokesperson for Electoral Affairs I have introduced a Bill to State Parliament that, if passed, will have the effect of abolishing ticket voting and replacing it with optional preferential voting both above and below the line.